Memorial Day was established in 1868 to honor Civil War soldiers who made the ultimate sacrifice. 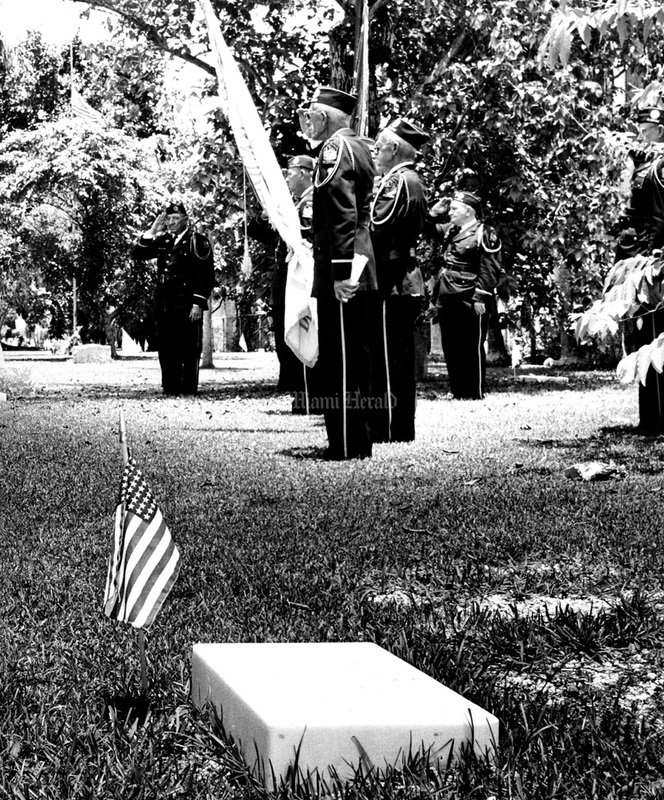 Originally called Decoration Day, for the tradition of decorating graves of the fallen with flowers, it became a national holiday in 1971, observed annually on the last Monday in May. 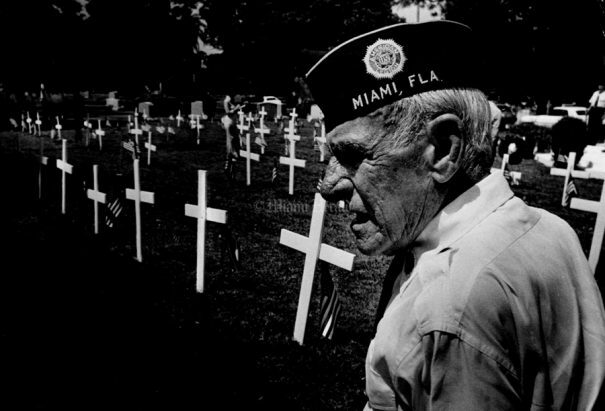 Take a look at how Miami has commemorated our fallen heroes through the years. 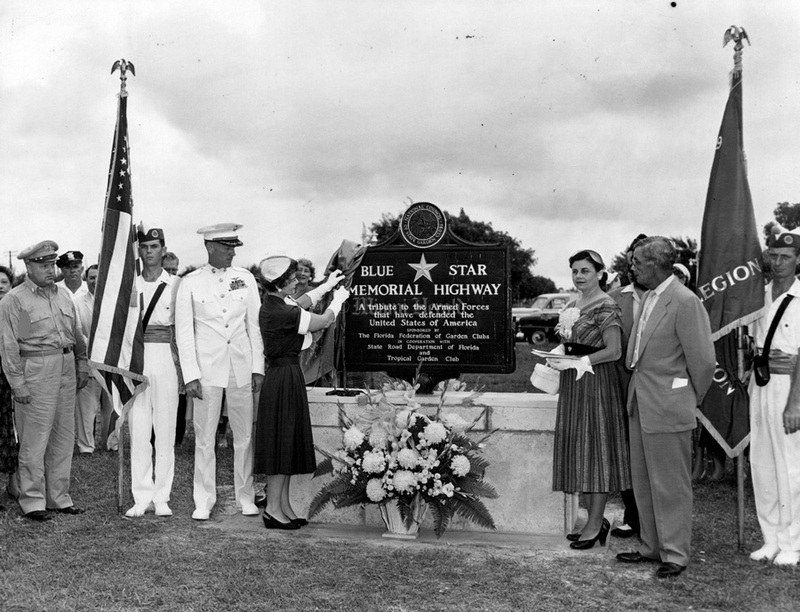 9/25/1954, Bill Kuenzel/Miami Herald: Col Richard C Magnum, Mrs. Eugene A Smith Lt Lauderdale Pres. 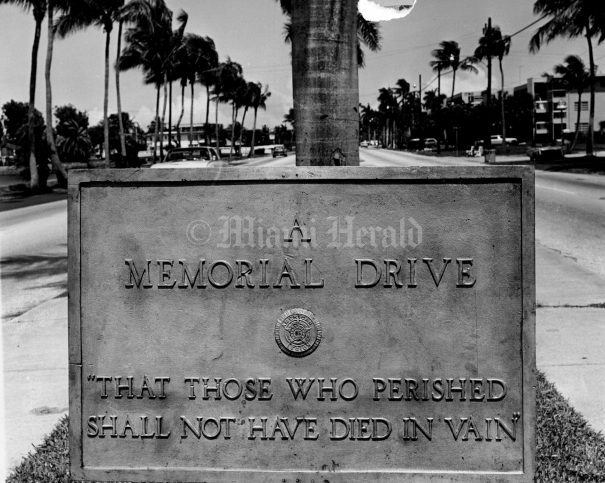 of Fla Fed of Garden Clubs Unveils Road marker. 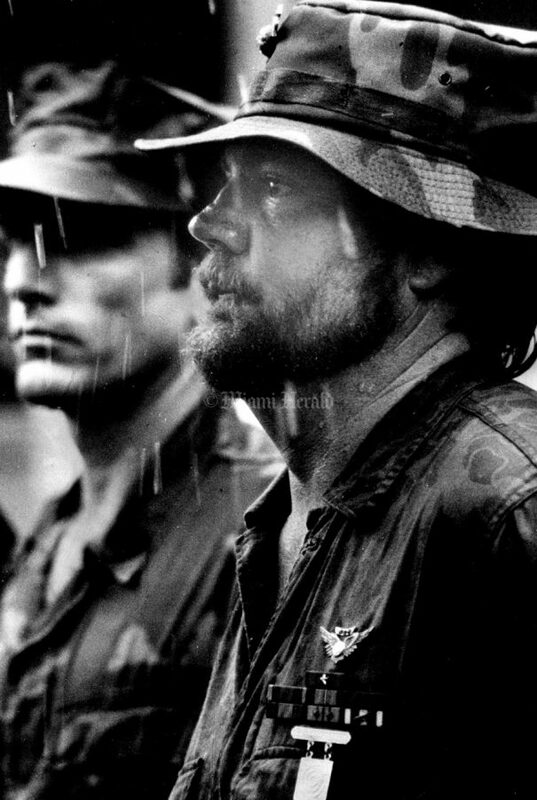 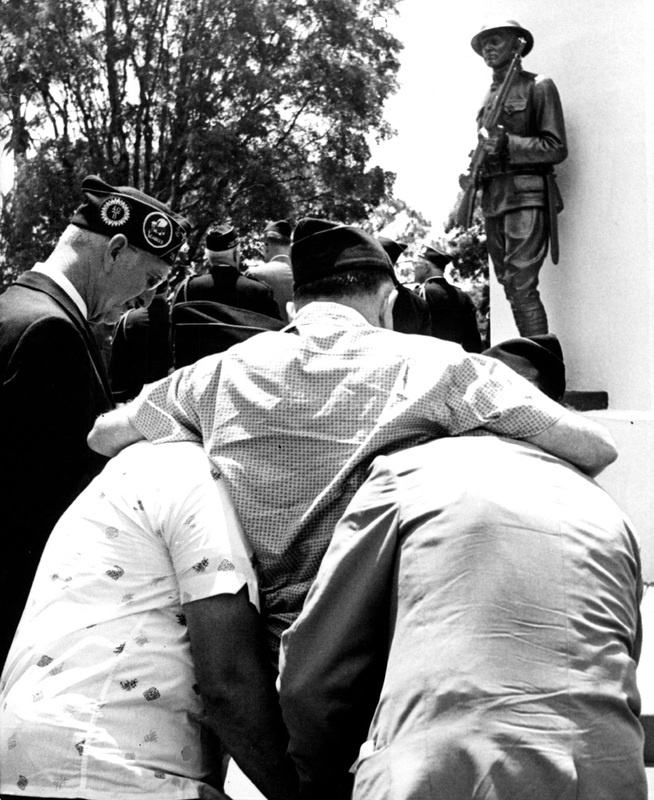 5/29/1984, Andrew Innerarity/Miami Herald: Bruce Johnson, who read a partial list of all Marine Corps servicemen who were Dade County Residents and were also killed in i either Vietnam or Beirut, listens to the Memorial Day Service which took place in front of the Torch Of Freedom Today. 5/29/1958, Doug Kennedy/Miami Herald: Memorial Day service at N. Miami Ave. and 1st. St.
1961, John Pineda/Miami Herald: Edwin J. Barker - carried to memorial Day Service. 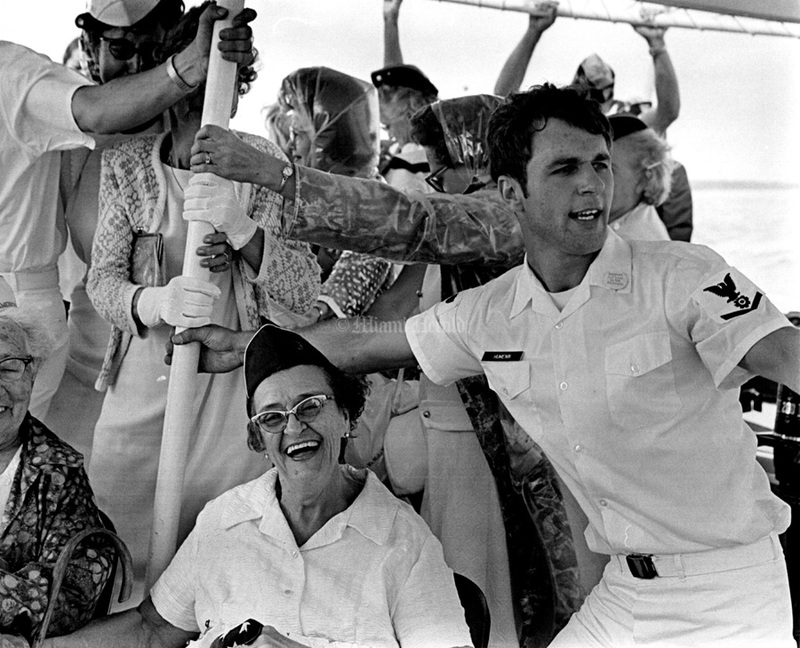 5/30/1970, John Walther/Miami Herald: Navy and Gold Star Mothers and crew members found the seas rough for their Memorial Lay service aboard the Coast Guard Cutter Cape Knox. 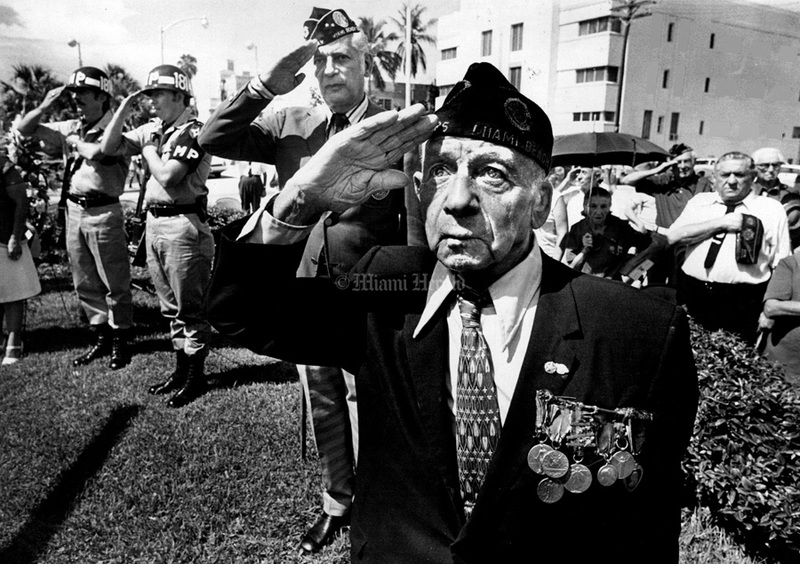 5/26/1975, Marlin Levinson/Miami Herald: Jack Ciegel at veteran ceremonies on Miami Beach. 5/28/1973, Marlin Levinson/Miami Herald: Memorial Day WWI Veteran Harvey Seeds at Woodlawn Cementery. 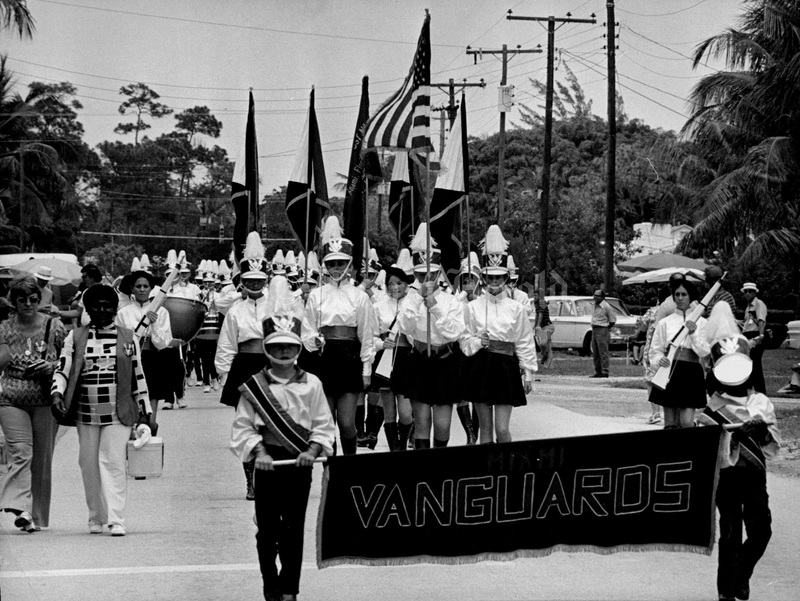 5/29/1972, Albert Coya/Miami Herald: Memorial Day Parade. 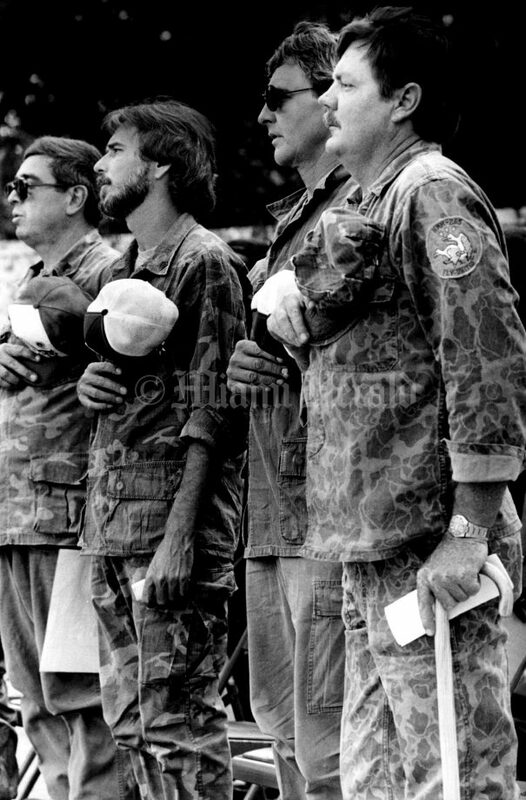 5/27/1985, Bruce Gilbert/Miami Herald: Vietnam, Vets L to R, Miguel Ortiz, Ken Keidell, Tom Zels and Bruce Johnson during the pledge of alliegence at the Memorial, Day Service at Torch of friendship in Bayfront Park. 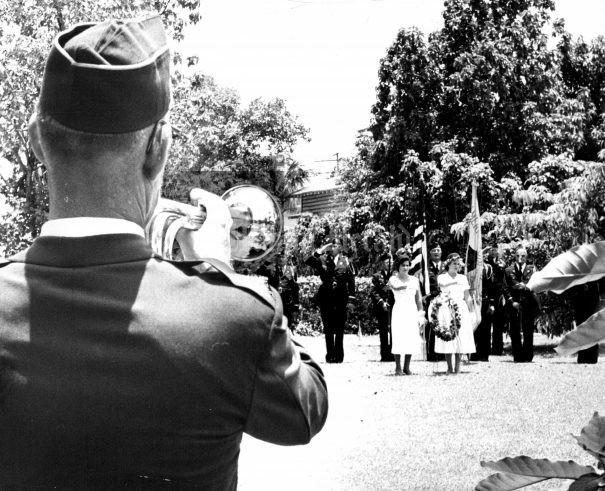 1965: Memorial Day service at 18th St. and N. Miami Ave.